Xur brings some actually useful gear to Destiny this week. Destiny’s Xur has returned to the Tower – or rather, the Vestian Outpost in the Reef to be more specific – and he brings a range of new Exotics for this week. He’ll be in his usual spot in the Reef until December 6th, 2 AM PST. This week, Xur is carrying the Ruin Wings (Titan gloves), Skyburners Annex (Hunter helm) and The Stag (Warlock helm), each available for 13 Strange Coins. 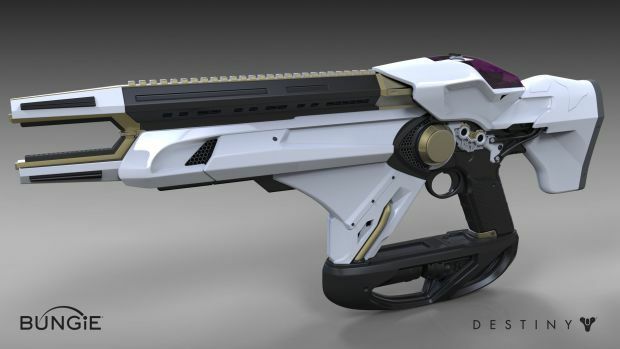 Of course the main attraction is the weapon for the week – the Exotic fusion rifle Telesto. Available for 23 Strange Coins, Telesto is capable of firing a burst of pellets that stick to surfaces (and enemies) before exploding. It’s real handy to have for the Sunless Cell when trying to earn your Exotic Sword or when Void Burn is active in the Nightfall. Special weapon Legacy engrams are also for sale this week at 31 Strange Coins. If you really want to unlock No Land Beyond before its Year Two version goes live, here’s your chance. The usual Three of Coins, Heavy Ammo Synths and Glass Needles can also be acquired from Xur. What are your thoughts on his inventory? Let us know in the comments.